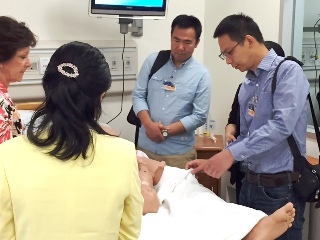 Inside the simulation center at Georgia Regents University, interim Director Wendy Jo Wilkinson was struggling to get the birthing simulator to deliver a fetus when Dr. Xianhui Zhu made a wry observation. 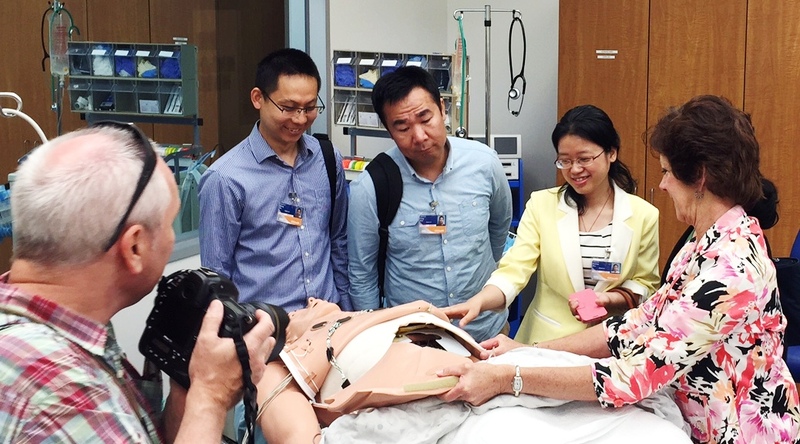 “Maybe it’s not her time,” the Chinese cardiologist joked. Zhu is among a handful of physicians from Jiangsu Province Hospital of Traditional Chinese Medi­cine who are spending three months at GRU as part of an exchange being facilitated by GRU’s Confucius Institute. While there are a number of such institutes in Georgia and worldwide fostering educational exchanges, GRU’s is the only one between an academic medical center and Chinese institutions that focus on traditional Chinese medicine.